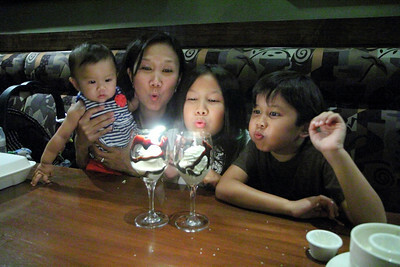 Birthdays come and go with the wind, but some birthdays hold a special place in your heart. Believe me, my faint memories of my birth year made only slight dents in my clogged arteries and my wife's birthday recently celebrated over the weekend reminded me birthday wishes do come true. 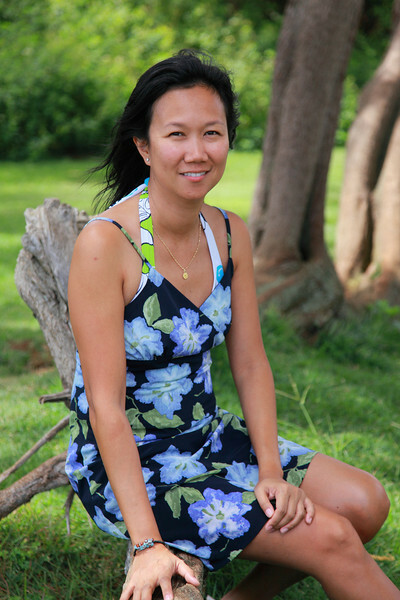 Happy birthday to my beautiful wife of over ten years. Ten long years. Long meaning a very good length of time, really. There is no other woman in the world that can put up with my personal foibles and bear gorgeous children other than the Blessed Virgin Mary. Truly a wish that keeps on giving. Even the BVM has hit the social network, check out her Facebook Fan Page. She does not like the new look and feature changes of Facebook either! You do not have to be a fortune teller to read my crystal ball. I love taking pictures, especially of my family. 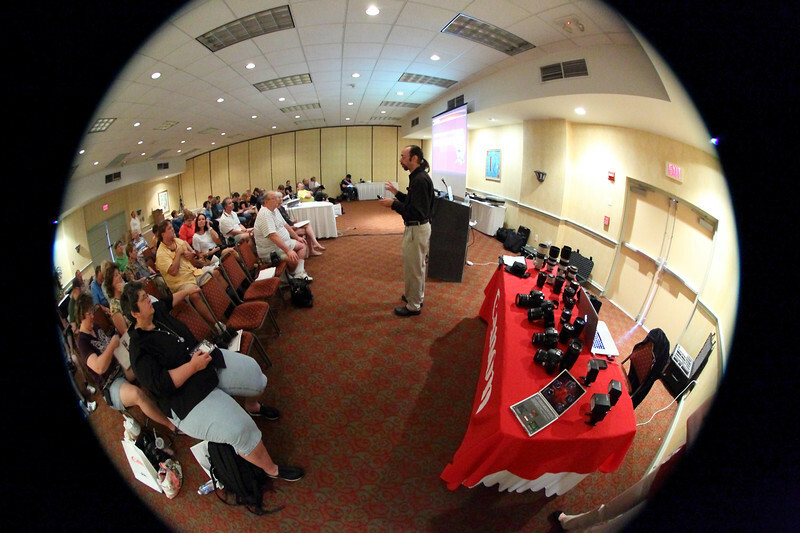 My friends at North Tampa Photography hosted another successful Canon EOS Discovery Day over the weekend in Tampa, FL. Experienced and aspiring photographers gathered to learn from official Canon instructors like Drew Macallum and Amanda Arrick. I played with all their latest Canon gear with childhood reckless abandon. I got my hands on the Canon EF 8-15mm f/4 Fisheye lens. Although, I am not a fan of fisheye lenses, but this lens is unique because it caters to full frame, APS-H and APS-C image sensors. 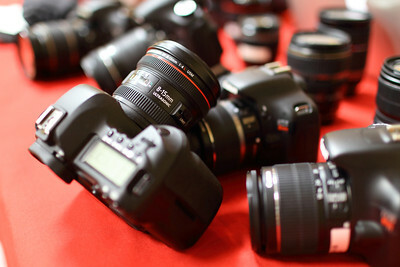 The 8mm focal length gives you a true fisheye effect on full frame such as the Canon 5D Mark II. The lens is actually marked on the zoom ring with a "C" for APS-C and an "H" for APS-H sensors for a no borders wide angle view in camera. The lens will give you a unique POV especially for the HD DLSR video crowd. 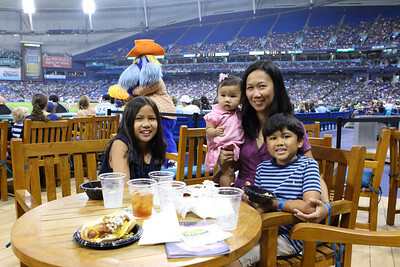 The gift of scoring six runs by the Tampa Bay Rays led to a 6-2 win over the Toronto Blue Jays Saturday night. 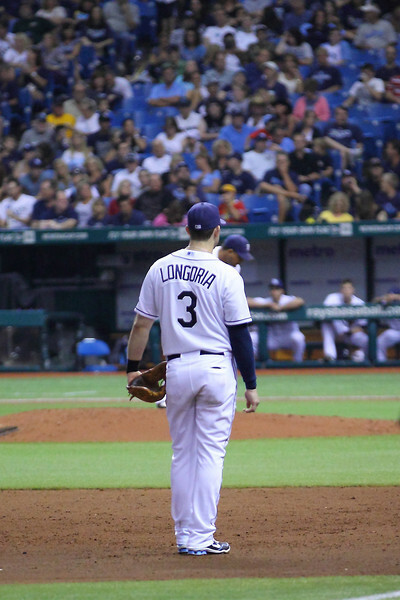 The Ray's rookie left-hander, Alex Torres, even threw five scoreless innings topped off with Johnny Damon hitting a three run homer for the big win. 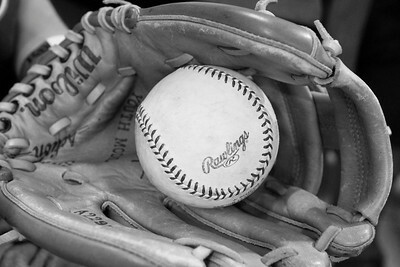 Just like TV news, baseball has lots of waiting between innings for the prime action. 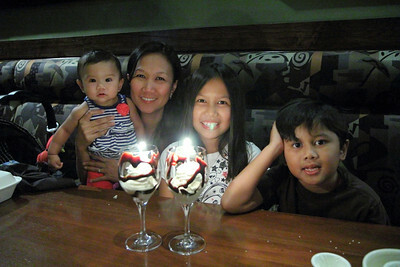 My family enjoyed the possible playoff atmosphere of game #77 especially for my baby daughter Serena. This was her first official baseball game of her new life and that was the third chili cheese hot dog of mine to celebrate America's past time. Just like a Major League player connects with his game through his fine weathered glove, my camera captures the loves of my life. Call it the love for my family through my love of photography. That is the ultimate gift. Stay updated with the latest Canon gear by becoming a Fan on my Facebook Fan Page and following me on Twitter! 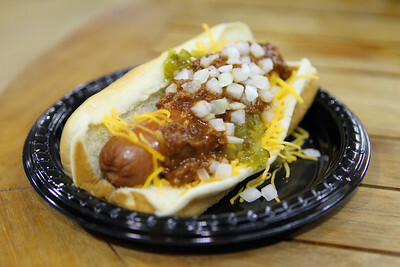 I just had to show you a close up of that yummy Chili Cheese with onions Hot Dog I ate multiple times at the Tampa Bay Ray's baseball game. Pictures do not give it justice, as a matter of fact. Awesome! P.S. your family is gorgeous, Chad! Thanks for all your compliments. I sent you a special message on Facebook in return. Happy Birthday On Ice Skates !